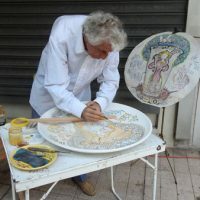 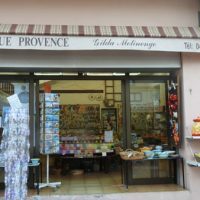 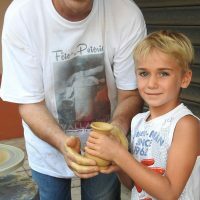 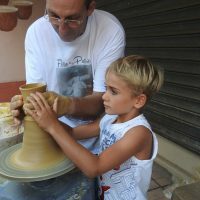 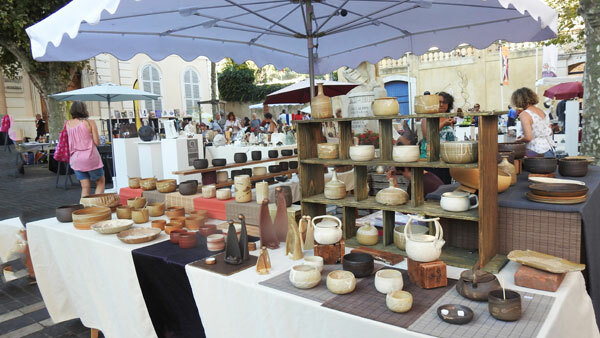 The Fête de la Poterie in Vallauris, annually celebrated since 1981, honors the many potters who made the reputation of the Capital of Ceramics. 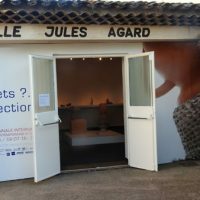 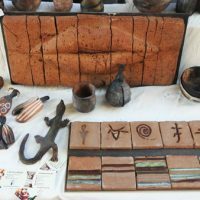 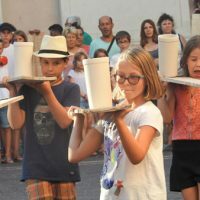 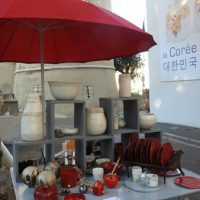 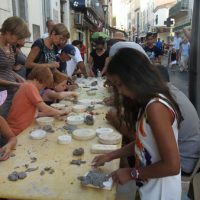 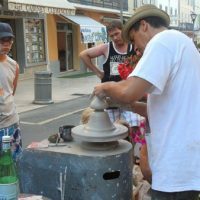 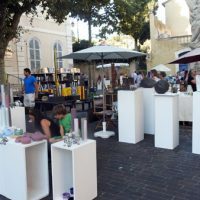 The 33rd Fête de la Poterie (Pottery Festival), organized by the city of Vallauris Golfe-Juan on August 14, 2016, in collaboration with the Tourist Office, the potters and shopkeepers in the city, was the occasion for a huge party celebrating the pottery in all its forms. 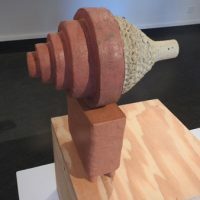 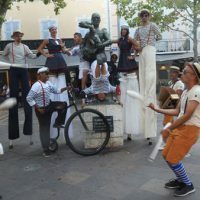 For one day that stretched late into the evening, artists and studios showcased their ephemeral creation in a crazy atmosphere punctuated by music and orchestras. 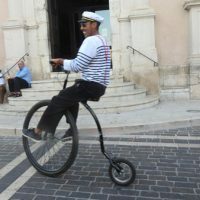 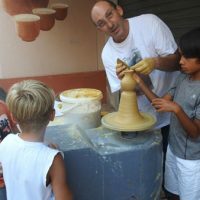 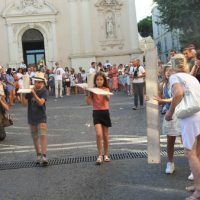 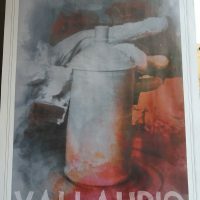 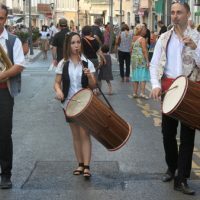 The artisans settled in the streets invited young and old children to attend demonstrations of turning, cooking and decoration in workshops spread across the center of Vallauris. 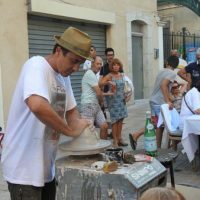 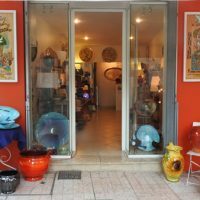 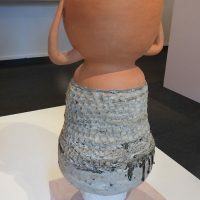 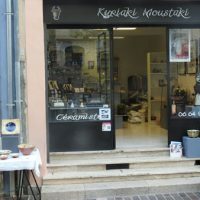 Each visitor could discover the skills of these talented artisans while participating in the manufacture of a small pot, a vase or a taraïette (small Provençal pot) they could then take away as a souvenir. 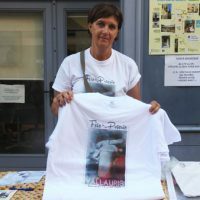 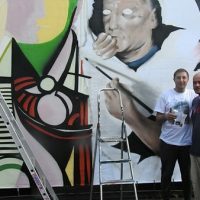 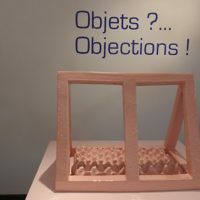 A day on which the shadow of Jean Marais and Picasso wass hunging, two famous Vallauriens of adoption. 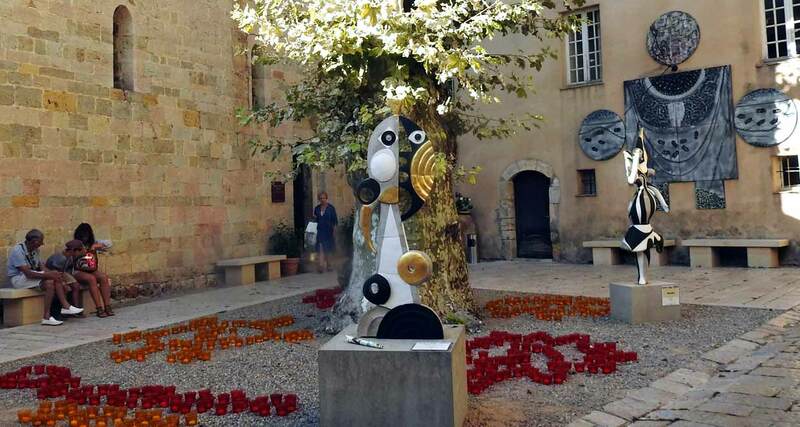 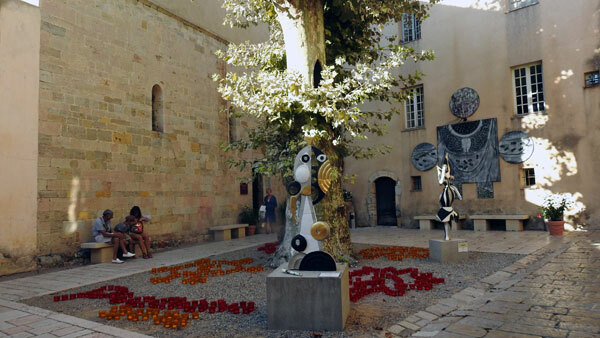 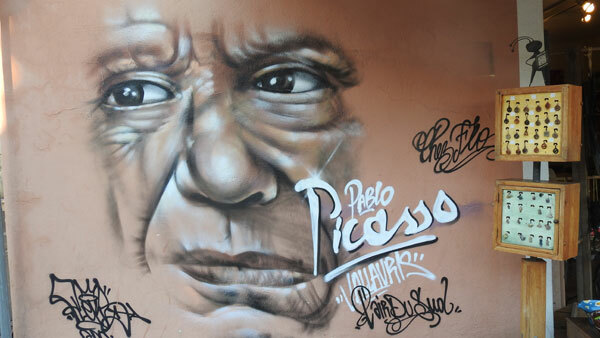 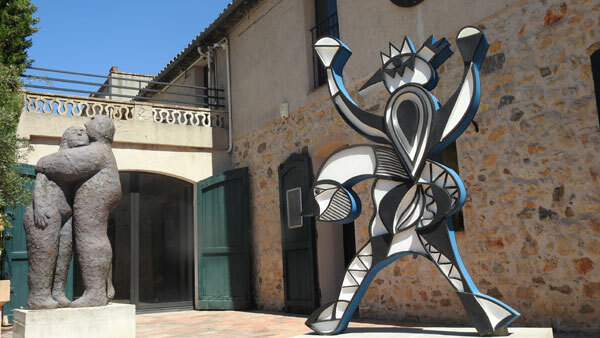 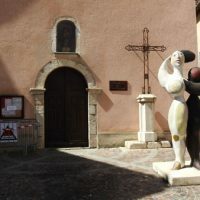 The statue of the Man with the sheep, that sits on the square before the church, was donated by Picasso to the town. 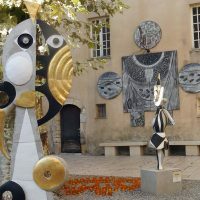 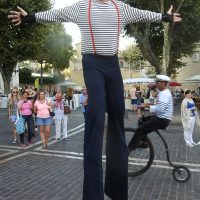 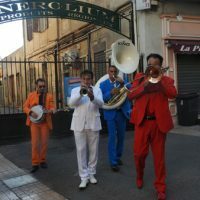 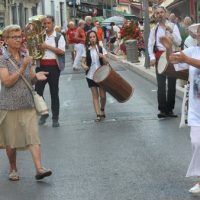 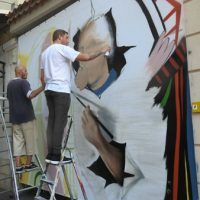 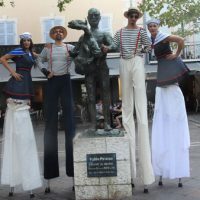 The day of the Fête de la Poterie was punctuated by numerous events including a solemn mass, a lively parade by flag wavers, street artists, acrobats, jugglers and orchestras, demonstrations of turning, stamping and decoration, a calligraphy workshop, a cartoonist who was sketching portraits. 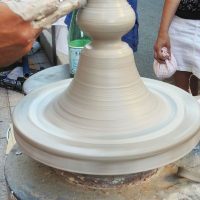 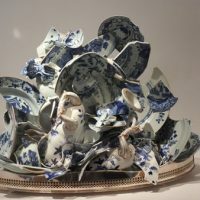 The smaller could participate in many games such as running boards topped with a pottery they should not drop to expect win the race.